To create a totally integrated acoustic barrier solution, we provide matching JCW Sound Gates. 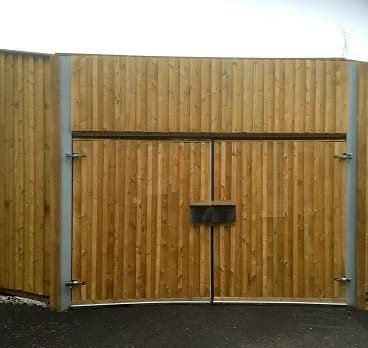 Available in timber or galvanised steel frames, they can be provided with leaves up to 2.5m wide and 2.5m high, configured as single gates or pairs. Depending on their sizes, they can be hung on timber or galvanised steel posts. Lintels are optional. The addition of a neoprene strip around the gate eliminates any gaps where sound can penetrate and this provides enhanced acoustic performance.